In May of this year I spent three weeks in Italy, after two and a half years absence. 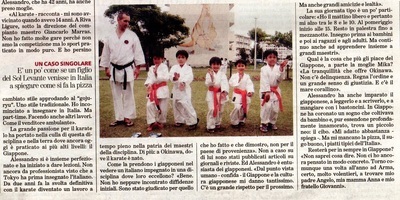 It was a positive experience because of several factors. 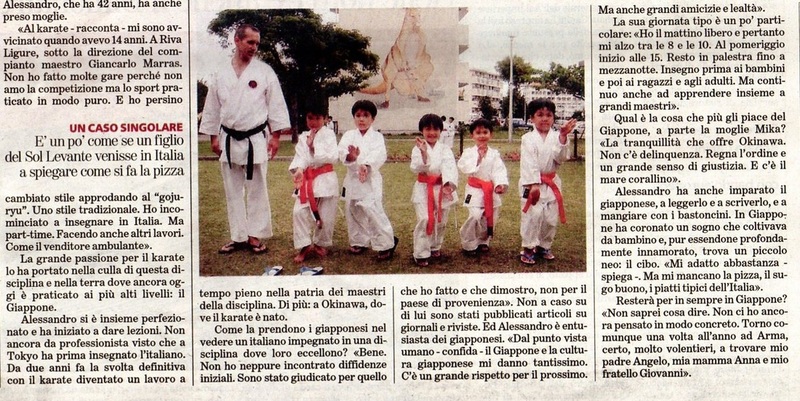 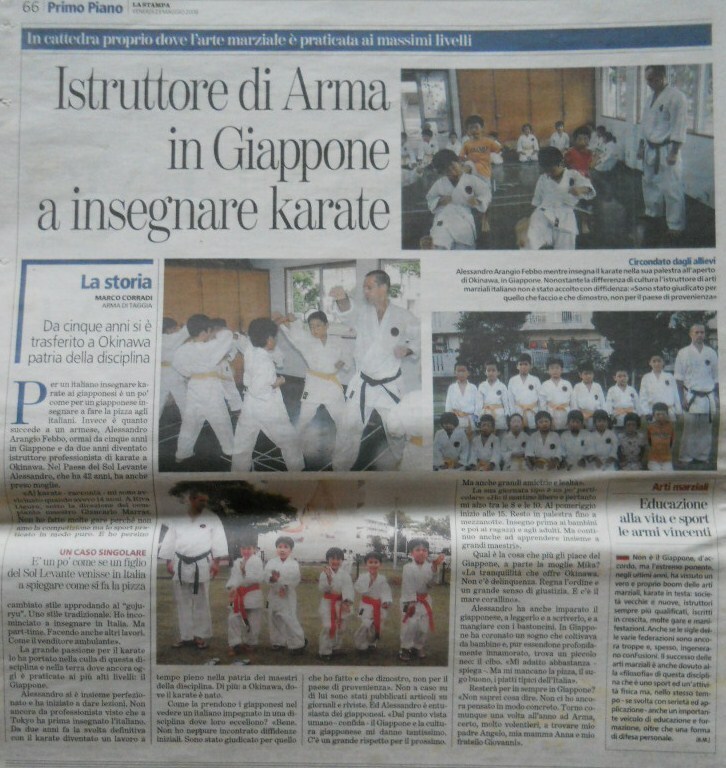 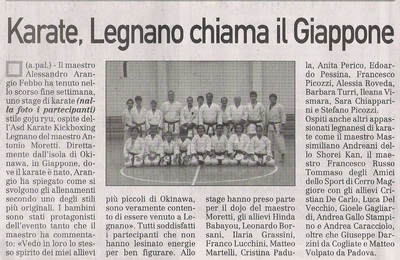 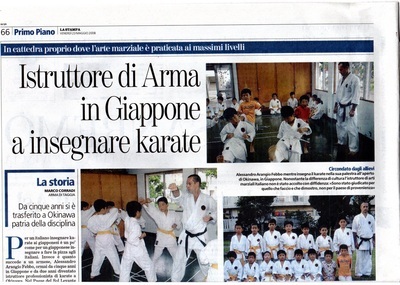 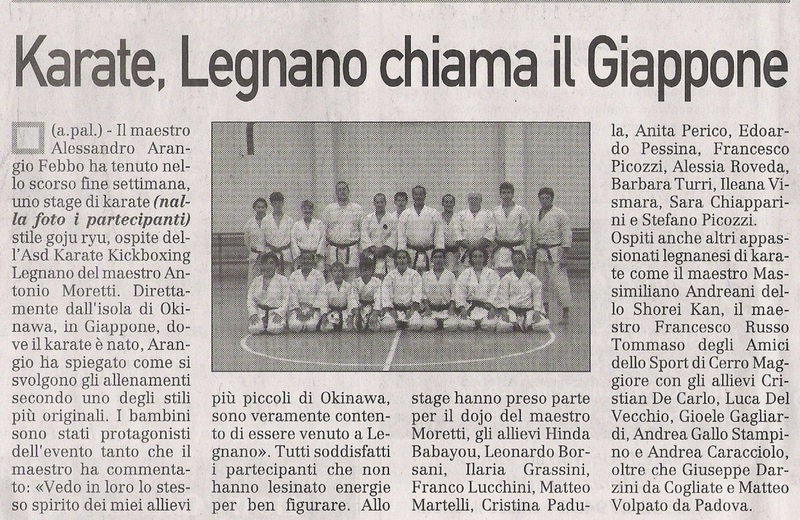 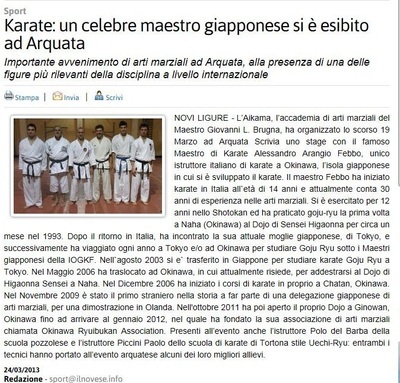 Had some newspaper and TV interviews about my life in Okinawa and job as a karate teacher. 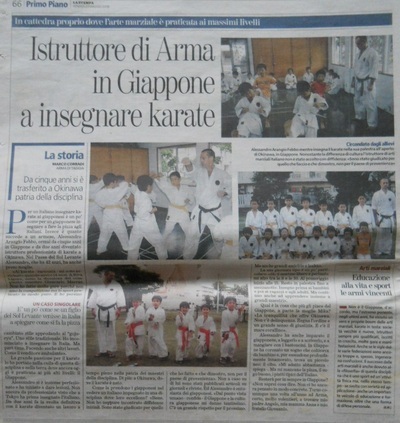 One of the daily paper, "La Stampa", dedicated an entire page to the article. television interview about karate.I hope to get this opportunity in the future again, it will help to promote traditional Okinawa Goju-ryu Karate.